If you read my previous post about how sourcing managers can meet cost reduction goals by conducting a spend analysis, you have at least a basic understanding of our spend analysis methodology. 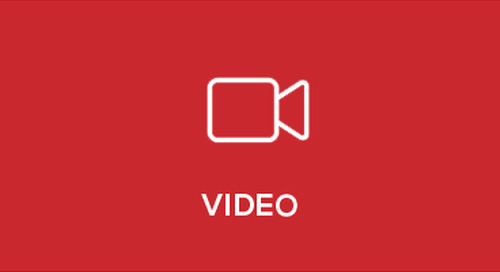 In this post, I’ll review the process in detail. When beginning a spend analysis, the first step is to scope your spend so that you can narrow down the thousands of parts that you buy to a manageable few. Start by segmenting your spend into manufacturing process groups such as sheet metal or casting parts and then, segment by material. You may not be able to find out what material your parts are made out of until you look at the actual 2D drawings or PDFs but if you can, segment by material at this stage. 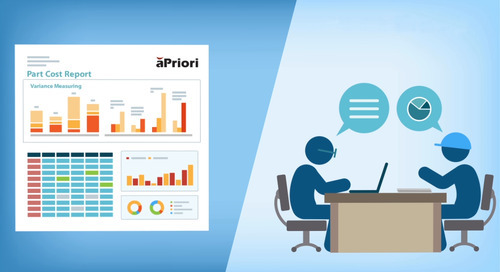 Next, you want to go to your ERP system and get the current price that you’re paying for the part, the estimated volume that you buy for the part, and then you multiply the two to figure out how much you spend on each one of these parts. After that, you create a Pareto chart containing all of the parts that you have selected and you pick the top fifty, one hundred, or two hundred parts to analyze. It’s up to you where you make the cut-off, but you want to prioritize based on the highest annual spend. A Pareto chart helps narrow down the parts to be analyzed by identifying those with the highest annual spend. Once you have narrowed the scope down, let’s say to one hundred parts, go get the data for just those one hundred parts. 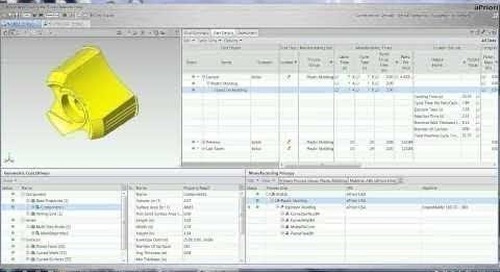 Data to gather includes 3D models, 2D drawings, usually in PDF format, which may contain data not found on the model (such as material type or secondary processes required, and tight tolerances), the actual or estimated annual production volume for each part, and the estimated batch size. If you don’t have the batch size, then use the order size from your ERP system. If you were not able to segment by material type when determining your scope, having gathered the 2D drawings, you may now be able to do so.  You also want to collect the current cost or quote for later comparison, the manufacturing process used to make the part today, if known, and the name of the supplier making the part. You will need to know which supplier is making the part if you want to do some extended trend analysis later. In addition, you will want to know the location where you’re buying the part because when you generate the estimated cost, you want to make sure that you don’t compare the cost of a part that you buy in China to an estimated cost of making that part in the United States, for example. At this point you’ve determined your scope and gathered your data; that’s already a lot you have accomplished. The next step is to estimate the costs of your one hundred parts. 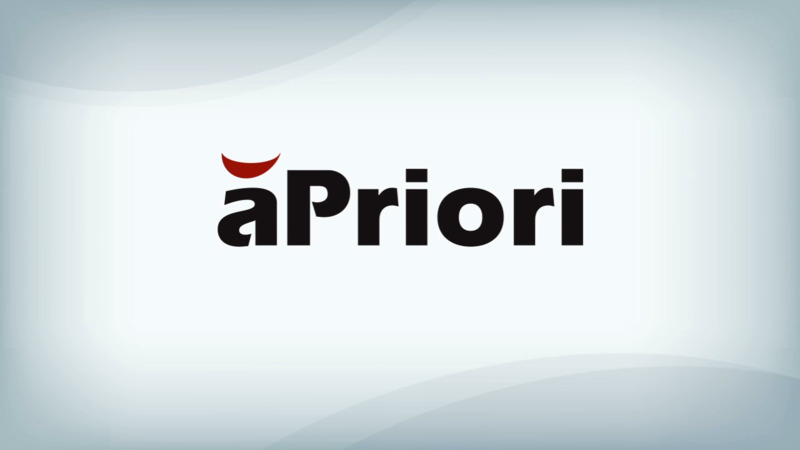 You can do this with whatever tool you have available, whether that is a set of complex spreadsheets or sophisticated cost estimating software, such as aPriori, which significantly reduces the time it takes to generate should-cost estimates. Once you have estimated the cost of your parts, you will be able to identify the outliers by conducting a should-cost analysis. 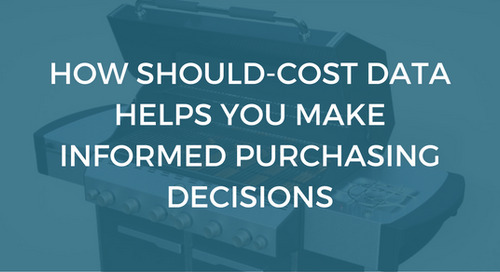 A should-cost analysis is an exercise in comparing your should-cost estimate to what you’re actually paying and then identifying parts where the gap is significant. It’s up to you how you choose your targets. I recommend that you calculate the annual potential savings (potential savings multiplied by annual volume) per part and make your prioritization based on that figure. After identifying your initial outliers, which may be twenty or twenty-five out of your original scope of about one hundred parts, you want to review those outliers to make sure you estimated the cost correctly with the right material, volume, manufacturing process, etc. This is an important step because you don’t want to move forward and do the rest of the analysis if the data that you have is not valid. After confirming the estimates were calculated correctly, analyze your remaining outliers in detail to determine the best possible method (e.g., renegotiate or redesign) for cost savings and develop an action plan for each of them. 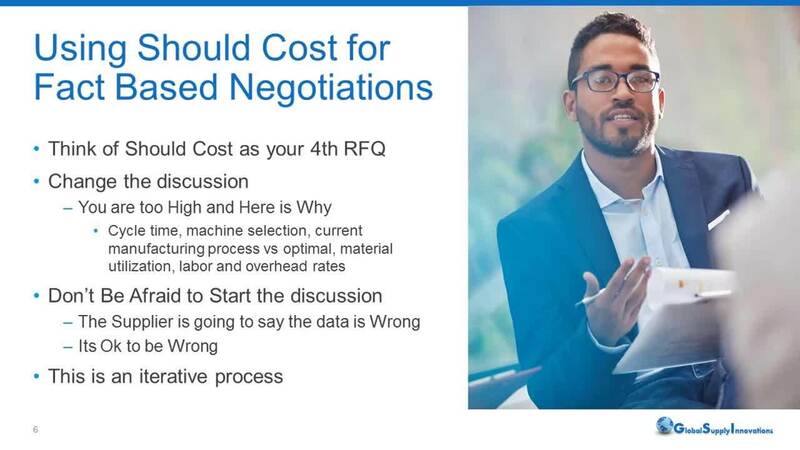 Candidates for re-negotiation: If the difference between your current cost and your estimated cost is significant, say 20% or more, then a discussion, regarding how the supplier arrived at that price is in order. 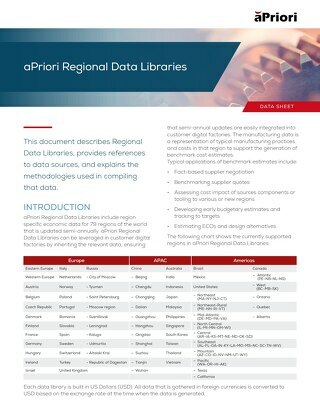 Depending on the amount of information you gathered on each part, you will perform trend analyses on your supply base, material costs, tooling costs, manufacturing routing techniques and develop a list of questions which can be used for supplier negotiation/collaboration. Candidates for redesign: First plot the estimated cost of each part divided by its weight. Weight may be obtained from your cost estimating software, the CAD system if density is available to it, or the estimated shipping weight from your ERP. You may notice that a scatter plot around a straight line, and you will notice some parts for which the ratio of weigh to estimated cost is very high relative to the rest. This is an indication that the part is complex or has high tolerance requirements. This is where most of your opportunity for re-design is available. Be sure to prioritize candidates for supplier discussion, based on the highest annual spend or greatest savings opportunity. Once you have finished your analysis of the outliers, it is time to do something about it. Take your part you want to redesign or want to explore whether or not you can redesign it and go back and work with engineering or talk to your suppliers to see if the part can be redesigned. 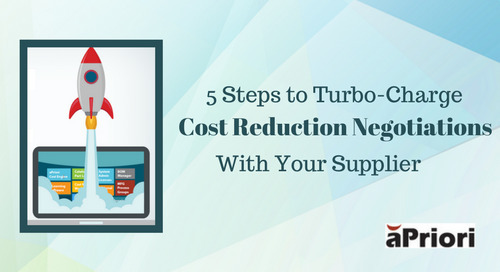 If the part is simply too expensive, you have to develop a plan for how to approach the supplier based on the data from the analysis and then renegotiate with the supplier. 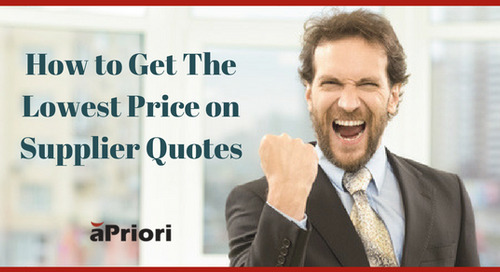 I will tell you, from personal experience, if you go to your suppliers and you ask them for ideas on how to save money on all the parts they make for you, you will get very general suggestions that are very seldom worth pursuing. 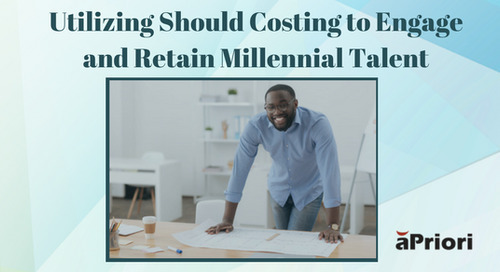 However, if you run a spend analysis and then go to your supplier and say, “Hey, I have one or two parts that I think there is opportunity for us to work together and try to figure out what can we do to make it cheaper,” they will be very happy to look at those one or two parts in detail and give you very good suggestions for reducing costs. It is definitely a worthwhile exercise. Finally, you want to validate your savings. 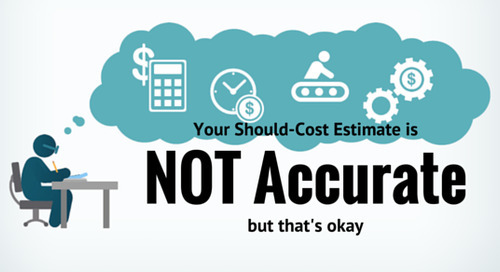 See if what you estimated as potential savings (the difference between your should-cost estimate and what you were actually paying) was actually realized, and how much was realized. Does this really work? Yes, it does. 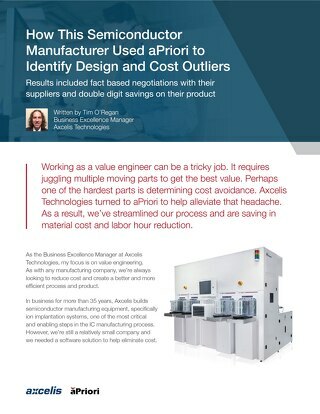 As an example, I worked with a $6.5B manufacturer and supplier of commercial trucks, parts and diesel engines, who wanted to accelerate achievement of annual cost reduction goals. I analyzed 7.7 million euros in spend across eighty-six sheetmetal parts. Seventeen of the eighty-six parts turn out to be outliers. At the end of the exercise the manufacturer had confirmed savings of 1.6 million euros, which was 20% of the spend analyzed. Have you done a spend analysis? What kind of results have you had? Tell us about it in the comments. Download our whitepaper, Are You Overpaying for Your Outsourced Parts?, for best practices on identifying components with the greatest potential for cost savings.